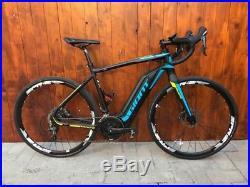 GIANT ROAD E+ 1 PER ATLETA ALTO CIRCA 180/185 CM. Montata con i seguenti componenti. 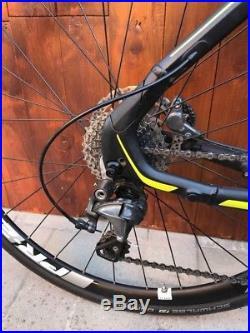 Gruppo Shimano Ultegra 11 velocità. Guarnitura in alluminio 50/34 con pedivelle da 172.5 mm. Ruote Giant in alluminio. Manubrio Giant in alluminio da 44 cm esterno. Attacco manubrio Giant da 90 mm. 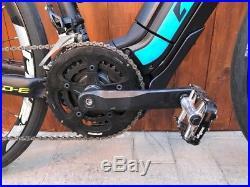 Motore Giant Sync drive 250 W. Batteria Giant Energy pack 500 W. PREZZO DI VENDITA 3.150,00. PRICE 3.150,00. AND PLEASE CHECK OUR SITE. The item “GIANT ROAD-E+ 1 TG. L SHIMANO ULTEGRA 11V” is in sale since Friday, February 16, 2018. 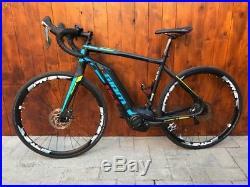 This item is in the category “Sport e viaggi\Ciclismo\Biciclette”. 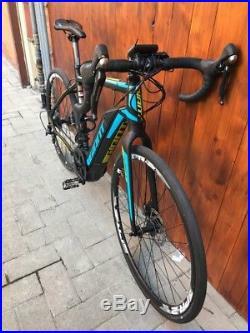 The seller is “baldonibikeshopforli” and is located in Forli, FC. This item can be shipped worldwide.